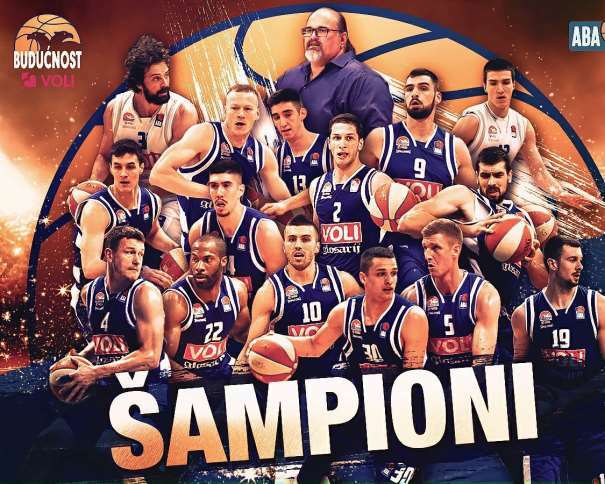 Budućnost Voli won 77 – 73 against Crvena Zvezda Mts in the fourth and final game, and for the first time in the club history won the title of the ABA League. So, in the next season, if everything goes as planned, the team from Podgorica will play the EuroLeague. The great season in the regional league was finished in the best possible way for the Montenegrin team, and in total they won 5 and lost only 1 game against the Red and Whites. This time, like it was in the third game, in a dramatic finish players from Budućnost were more focused and at the end they deserved this victory and title. 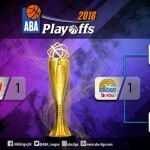 Before the last game, it was tense off the court because the president of Crvena Zvezda Nebojiša Čović announced that his team won’t participate in the fourth game due to, as he said, bad treatment by referees. But the Red and Whites still participate in the last game and lost on the court. It isn’t a mistake if we say that there were two players of the match. Besides the MVP of the Final Playoff, Nemanja Gordić, the young Nikola Ivanović showed that he is a player for the crucial moments. The last 4 key points were made by him so he is definitely a hero of the last game. After three years, Zvezda is without a title the in regional league, and earlier in this season, they lost another title against Partizan in “Radivoje Korać” Cup. 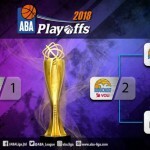 So this season didn’t go as they planned, and now only left for Dušan Alimpijević’s team is to try to defend crown in the Serbian Championship that starts on April 18th. The best scorer was, again, Gordić with 18 points, while Ivanović finished the game with one point less. Filip Barović added 14 points. 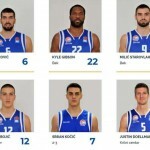 Those three were the only players from Budućnost who scored double-digit points. In the Crvena Zvezda there were four players with more than 10 points. Taylor Rochestie scored 14, Alen Omić 12, and Ognjen Dobrić and James Feldeine added 11 points each. But that wasn’t enough for the win and moving the Final Playoff in Belgrade again.